Showing 58 articles from September 11, 2013. Roundabouts to calm Bunn traffic woes? BUNN — Engineers have proposed two roundabouts to calm traffic, particularly at a busy high school intersection. Those who control that traffic now, though, say no traffic control device at that intersection addresses the real problem — a poorly placed entrance to Bunn High school that becomes so jam packed that it grinds traffic to a halt all the way back along N.C. 39 and throughout town. TRACTORS TAKE A BACK SEAT! 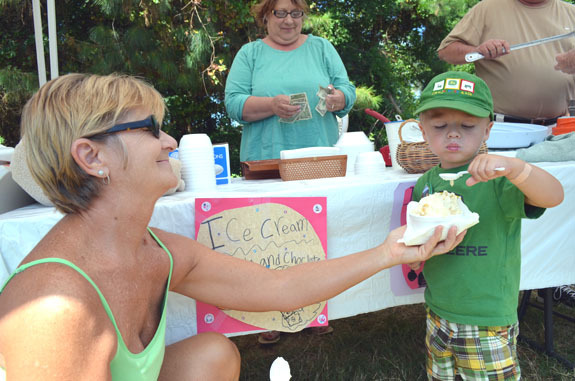 Little boys like tractors, but little Troy Aycock, 3, of the Justice Community, can’t resist a big bowl of ice cream to help fuel his walks through the Justice Tractor Show last Saturday, especially since his “granny,” Kay Woodall, was willing to help out by holding the bowl. Troy is the son of Jason and Amanda Aycock. 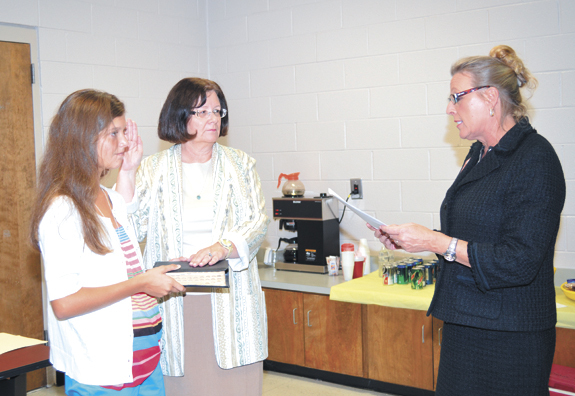 The Franklin County Board of Education got a new member Monday night, Rosemary Champion, and then learned that the district’s enrollment has increased by 98 students since the same time last year. Champion was sworn in by Clerk of Courts Patricia Chastain at the beginning of the meeting. Champion was selected last month from a field of five candidates and replaces Dannie Williams, who resigned his at-large seat in May. Sept. 15-21 is Child Safety Week and the Louisburg Fire Department is using that time to remind people about properly restraining their children. 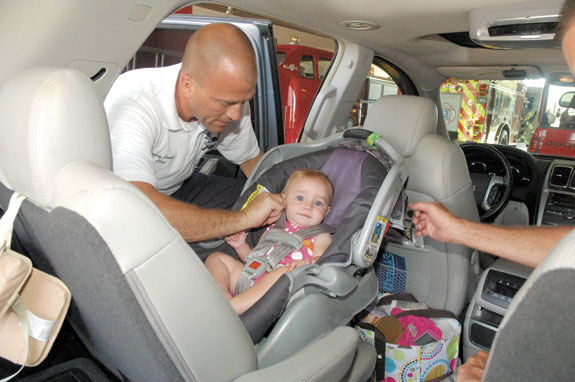 Parents can take their child safety seats to the Louisburg fire house, at 107 Wade Avenue, and firefighters at the station can inspect the devices and show parents how to properly install the safety devices and make sure their children are restrained properly. HENDERSON — A regional economic development organization has a permanent leader in place. And a scrutinized loan program has been re-instated. Kerr-Tar Council of Governments Executive Director Diane Cox said the organization is ready to move forward. “This last year has been pretty trying,” said Cox, who had served as an interim leader after former Executive Director Timmy Baynes stepped down last summer. It’s here, the ninth biennial edition of the Guide to Franklin County is part of this edition of your Franklin Times. 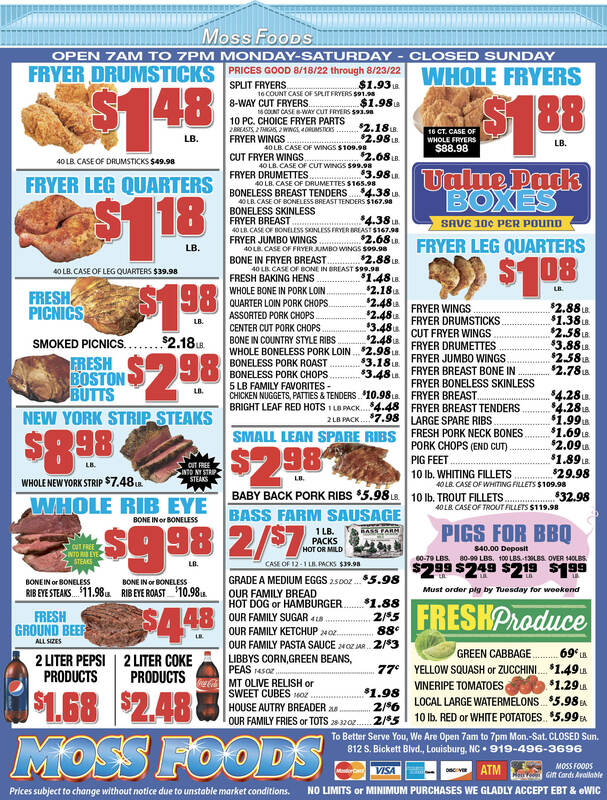 At 124 pages this year, this special edition has been published in odd-numbered years since 1997 and is one of the most popular and best used publications produced by Franklin County’s newspaper. Oh, Boy! Here we go again. Apparently, it’s going to be back to the drawing board — for the gazillionth time!? — in efforts to finally get U.S. 401 four laned from Wake County to Louisburg. It appears that Gov. Pat McCrory and GOP legislators in Raleigh are again reworking funding formulas and that puts what progress we’ve made thus far on 401 locally in severe jeopardy. Driving in a circle: Is that a workable idea? When is driving in circles just driving in circles? Perhaps your guess is better than ours, but our beloved Capital Area Metropolitan Planning Organization (CAMPO) is considering providing two Franklin County towns — Youngsville and Bunn — with their first “roundabout” intersections. When I began my journalism career, there were two things that were guaranteed to get people off their couches and into government meeting halls — raising taxes and zoning issues near residential areas. Those two things are still true. Another thing I’m learning that I might soon be able to add to the list is the issue of recreation. Over the last month or so I have explored the story of Franklin County’s strategic plan for economic development. My initial intent was not to focus on the plan. It was to, in very general terms, speak to the overall scope of economic development. Forming a basic outline, I set out to support my intent with facts. I had no preconceived notions or particular end in mind. There is an old adage: If something sounds too good to be true, it probably is. Republican State Senator and Chairman of the Senate Finance Committee Bob Rucho unveiled his party’s 2014 strategy and it sounds wonderful. In 2014, expect North Carolina Republicans to run on eliminating the state income tax. Why is county not already marketing to seniors? I’ve now read two editorials about the potential for Franklin County to be a “retiree haven”. I would like to suggest that it’s already happened — Franklin County just hasn’t fully realized it yet. We moved here on April 4, 2013, precisely because we needed a place where we could retire — and Franklin County, meets all of the necessary specifications. LOUISBURG - Charles Williams, 72, died Monday, Sept. 9, 2013. Viewing will be Friday, Sept. 13, 2 to 8 p.m. at Richard Harris Funeral Home Chapel, 122 W. Barbee St., Zebulon. Funeral service will be held Saturday, Sept. 14, at 1 p.m. at Perry’s Missionary Baptist Church, 2269 Laurel Mill Road, Louisburg. Viewing 1-1:30 p.m. prior to the service at the church. 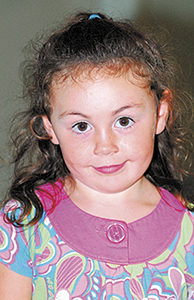 Burial will follow in the Williams family cemetery. LOUISBURG - Booster White, 87, died Monday, Sept. 9, 2013. Funeral services will be held at 11 a.m. Thursday, Sept. 12, at Flat Rock Baptist Church. Burial will follow in the church cemetery. RALEIGH - Carlos Alessandro Casco died Wednesday, Sept. 4, 2013. Funeral services were held at Lancaster Funeral and Cremation Services in Louisburg on Sunday, Sept. 8. 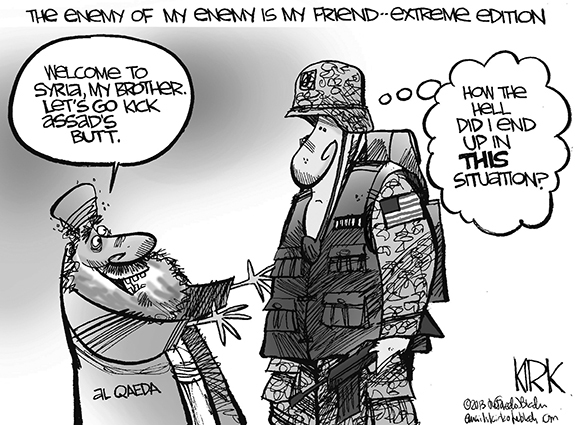 SLIPPERY SLOPE. Franklinton’s Travon Judkins (with ball) slides through the Northern Vance defense en route to another big gain during last Friday night’s high school football victory at Viking Stadium in Henderson. HENDERSON - Another game, another 50-point uprising by the high-powered Franklinton High School football offense. 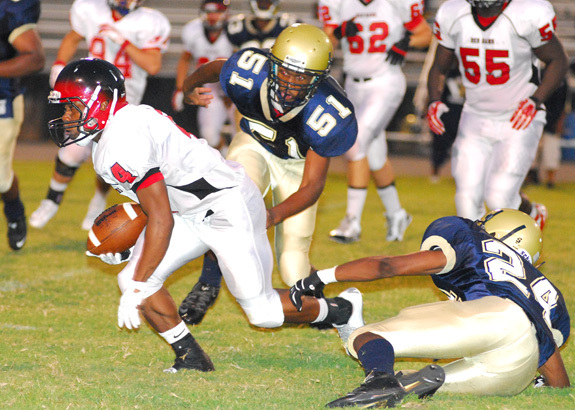 For the second consecutive week, the explosive Red Rams hit the half-century mark during a 50-28 road decision last Friday against the Northern Vance Vikings. ALL ABOUT O’CONNELL. Louisburg College’s Riley O’Connell enjoyed an outstanding performance during last Wednesday’s home victory versus Wake Tech. 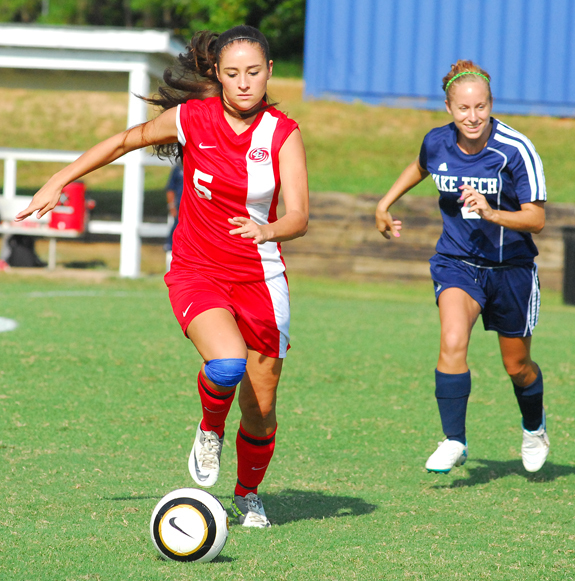 LOUISBURG -- Louisburg College’s first two Region X women’s soccer matches of the season went in lopsided fashion to the Lady Hurricanes last week. That was not unexpected as 10th-ranked LC tangled with Wake Tech (last Wednesday at home) and USC-Salkehatchie (last Saturday on the road), with neither of those clubs expected to finish in the upper echelon of the region standings. TEVIN TO THE HOUSE. 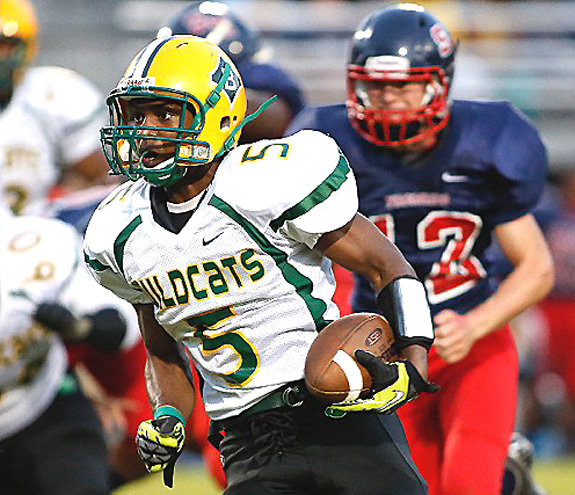 Bunn High School’s Tevin Ferrell picks up a substantial gain for the Wildcats during last Friday night’s football football matchup versus rival Southern Nash. Southern’s latest adventure came last Friday as the Firebirds remained undefeated with a tight 28-23 home victory against Bunn at Firebird Stadium. EYEING A RETURN. Louisburg’s Victoria Rowe prepares for a forehand return during last Thursday’s road tennis matchup against the Bunn Ladycats. 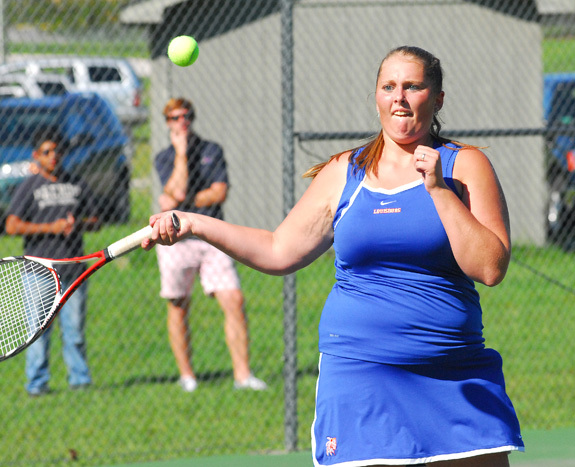 BUNN -- Both Louisburg and Bunn boast much-improved girls tennis squads this fall -- a fact that made last Thursday’s matchup all the more anticipated. After splitting the six singles matches, Bunn swept the doubles events to secure a 6-3 decision over the Lady Warriors in non-conference action at the BHS Courts. Louisburg at Bunn 7:30 p.m.
MAN IN THE MIDDLE. Louisburg High School midfielder Sam Chmurovic, an exchange student from Slovakia, controls the midfield last Thursday evening against Rocky Mount. LOUISBURG -- A challenging stretch of three home games in a 48-hour span -- all against quality opponents -- awaited the Louisburg High School boys soccer squad last week. 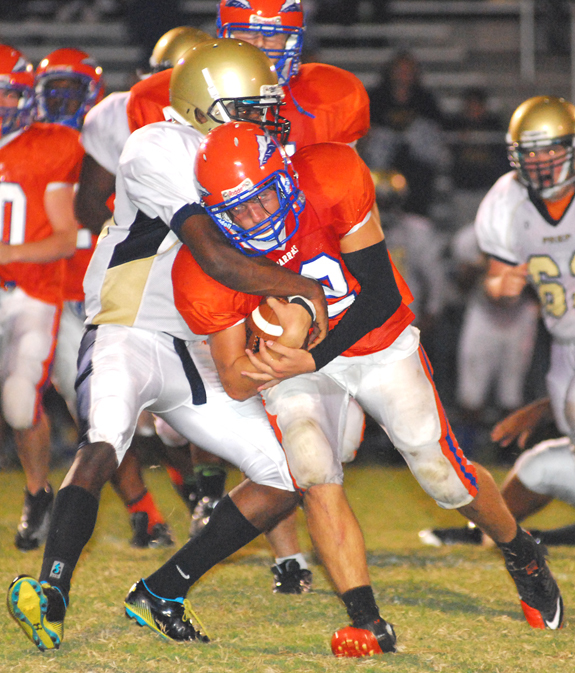 The Warriors responded by winning two of the contests before running out of steam last Thursday against area powerhouse Rocky Mount. VICTORY TRAIL. Tiara Wilkins and the Franklinton Lady Rams earned a key volleyball victory last Wednesday afternoon on the road against backyard rival Louisburg. LOUISBURG -- The schools might not be in the same conference anymore, but there is always plenty of intensity when Franklinton and Louisburg tangle -- regardless of the sport. Last Wednesday’s volleyball matchup was much anticipated, and host Louisburg entered the matchup with FHS with an undefeated record. OWINGS MILL, MD. -- North Carolina Wesleyan College’s football team kicked off its 2013 slate last Friday night, dropping a road contest at Stevenson University by a 19-9 score. The Bishops held a 9-3 advantage late in the third quarter, only to see the Mustangs reel off the final 16 points of the contest to secure the win. A THORNE IN THEIR SIDE. 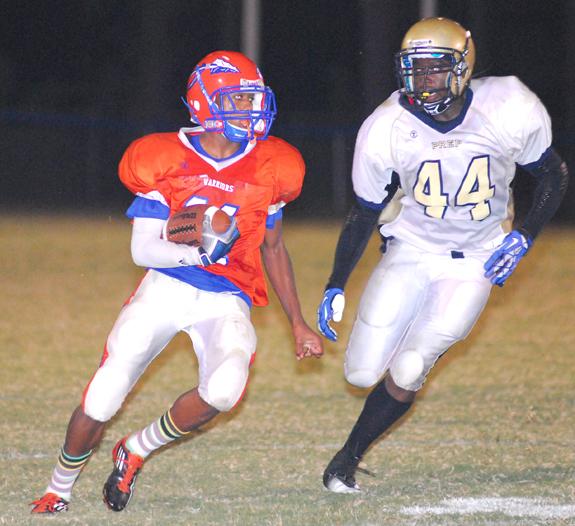 Louisburg High School’s Tyree Thorne (left) picks up yardage for the Warriors during last Friday night’s home football conquest against the Rocky Mount Prep Jaguars. LOUISBURG -- With his team heading into a bye week, Louisburg High School football coach Chris Lee stressed the importance of a strong performance during last Friday’s non-league home meeting with Rocky Mount Prep. TOWERS OF POWER. 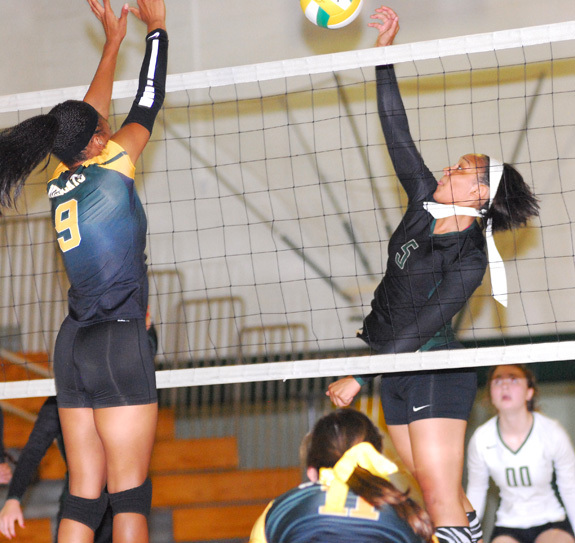 (L to R) Standouts Tainasha Vines (Bunn) and Alexus Hill (Northern Nash) challenge each other at the net during last Wednesday’s volleyball showdown at the Bunn Dome. 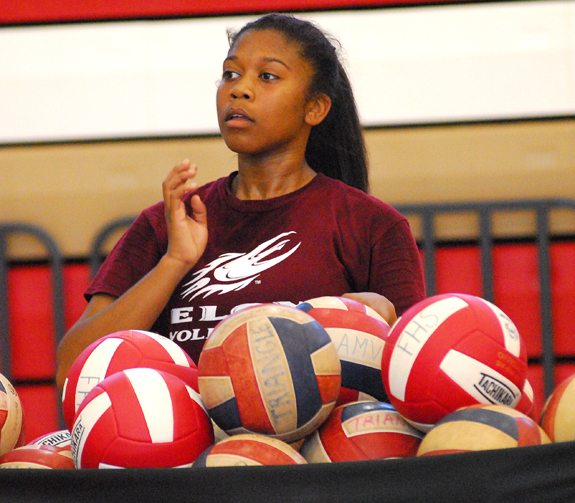 BUNN -- So far, the upgraded league level of competition hasn’t fazed the Bunn High School volleyball squad. The Ladycats are currently undefeated in the revamped Northern Carolina Conference -- and have yet to lose a match overall. Bunn’s string of success continued last Thursday during a trip to Durham to tangle with new NCC opponent North Carolina School of Science and Math. ZEBULON -- The Carolina Mudcats have announced that Francisco Lindor, Cody Anderson and Joey Wendle were selected as honorary year-end All-Stars for the Carolina League. The Mudcats’ three honorees are tied with the Potomac Nationals for the most on the 19-player list. Managers, general managers and media voted for this year’s superlatives. FRANKLINTON -- The Louisburg College football team improved its 2013 record to 2-0 as the Hurricanes knocked off Fork Union Military Academy by a 43-18 score last Saturday afternoon at the Old Franklinton High School Football Field. The Hurricanes, coached by John Sala, were firing on all cylinders in the non-conference game, but the Canes really shined on defense and special teams as the first two LC scores came off interceptions returned for touchdowns. 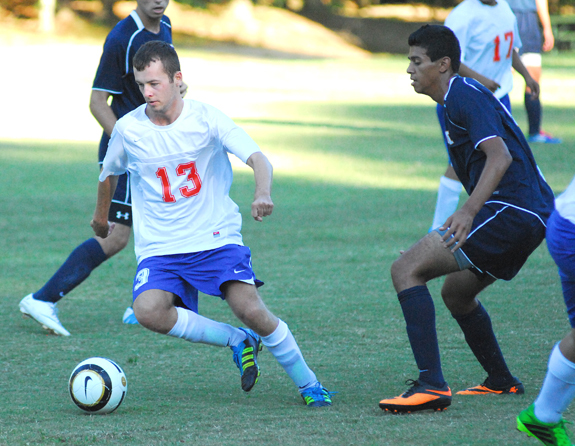 ALLENDALE, S.C.-- The third-ranked Louisburg College men’s soccer team picked up its first Region X win of the 2013 campaign as they knocked off University of South Carolina-Salkehatchie, 6-0 last Saturday afternoon in the Palmetto State. With the win, the Canes improved to 3-0 overall, 1-0 in Region X play. ENGLAND BOUND. 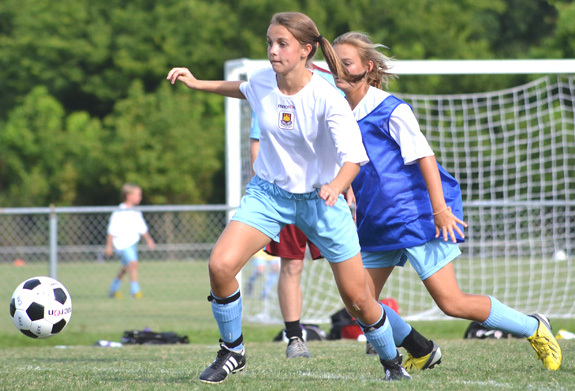 Youngsville resident Kennedy Capps has been selected to participate next spring in an Elite Soccer Academy in London, England. While attending the West Ham United International Academy National Camp recently in Rome, Ga., Capps was chosen from a pool of more than 300 players from across the United States and Canada to participate in the week-long training in the UK. LOUISBURG -- The Franklin County Volleyball Club Eliminators will be having tryouts for the upcoming season on Sept. 28 at the Louisburg High School Gymnasium. The event will take place from 8 a.m.-2 p.m. Participants are asked to bring a lunch and a winning attitude. Ages 12-14 are welcome (turning 15 between Sept. 1, 2013 and June 30, 2014). 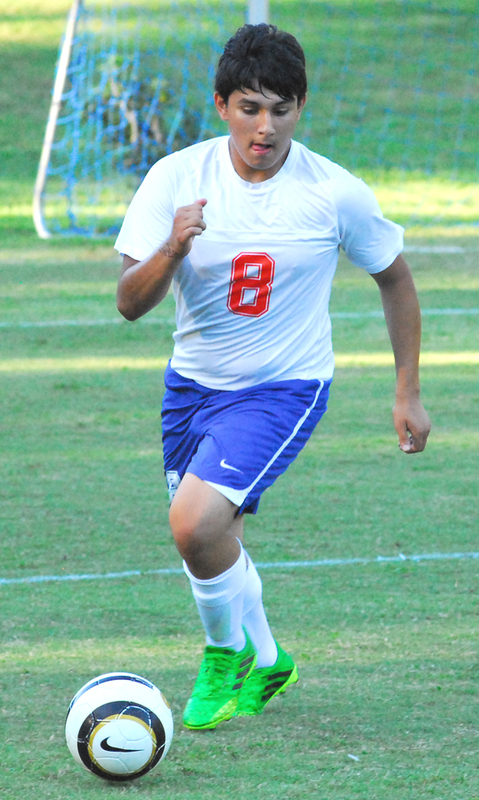 Louisburg High School’s Eliceo Hernandez advances the ball during last Thursday’s soccer match vs. Rocky Mount at Joyner Park. 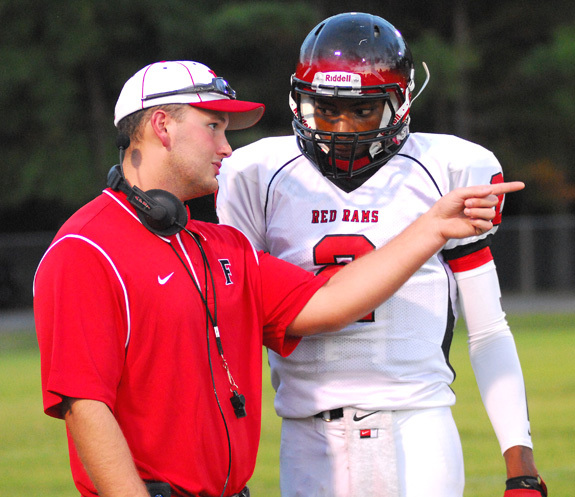 Franklinton High School assistant football coach Andrew Trotter (left) discusses strategy with FHS quarterback Daquan Neal during last Friday’s game at Northern Vance. Trotter is a former multi-sport standout at FHS who has returned to his alma mater as a teacher and coach. 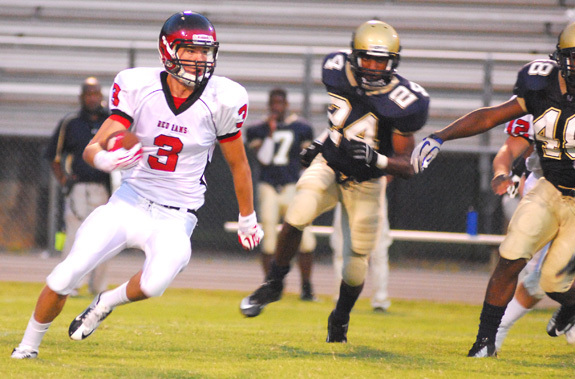 Franklinton’s Jackson Hooton (with ball) sprints upfield for the Red Rams during last Friday night’s road conquest against Northern Vance High School. 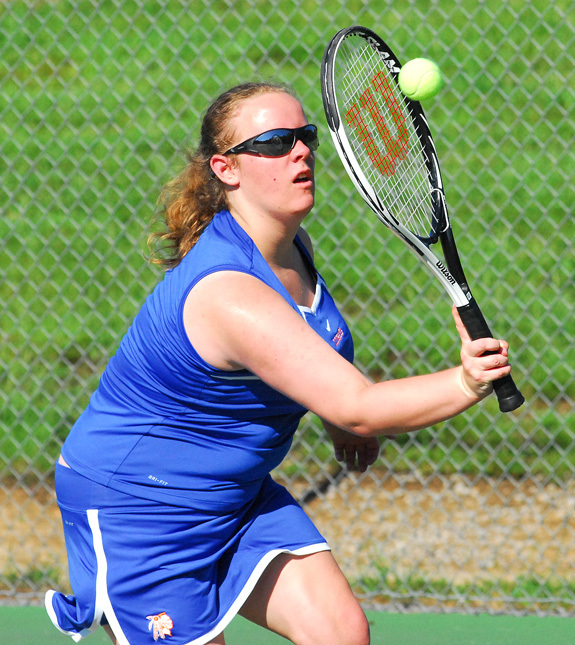 Louisburg’s Sandy Williams volleys for a winner during last Thursday’s tennis match at Bunn. Louisburg’s Garrett Ingraham tries to avoid a RM Prep tackler during last Friday night’s home victory. Despite the great number of books, research studies and opinions on the topic, leadership is not easily defined. In fact, some would argue those who study leadership make too many assumptions with regards to traits, behaviors, and specifics that are seen. 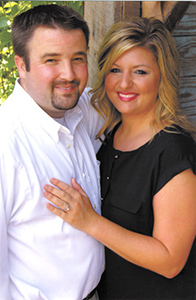 Mr. and Mrs. Ken Murray announce the upcoming marriage of their daughter, Lauren Michelle to Bradley Christian Lester. He is the son of Mr. and Mrs. Chris Lester of Louisburg. The wedding is planned for Sept. 21, 2013 at Fishing Rock Farms. What should Louisburg College’s new center be? This column usually focuses on the history of Franklin County and the Upper Tar River region, but this week I would like to invite readers to an important planning meeting. Hosted by the Tar River Center for History and Culture (TRCHC) at Louisburg College, the session will take place on Thursday, Sept. 19, at 7:30 p.m. in the Police/Fire Training Center off of Wade Avenue in Louisburg. Resist temptation: Don’t spray that ditch! It is hot. It is humid. It has been raining for most of the summer and the grass just grows and grows. The ditches are the worst places to mow. It is hard to mow them with a mower since they are not flat and may be deep. It takes a long time to weed-eat them as they line the entire road front. What to do? 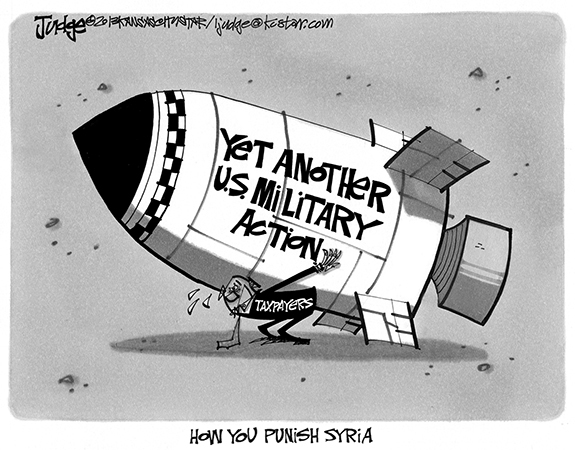 Spray the ditch with weed killer? 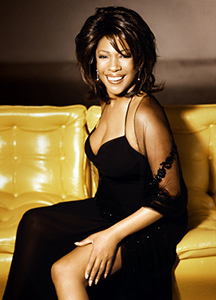 Mary Wilson will perform in the Seby B. Jones Performing Arts Center (JPAC) on the campus of Louisburg College beginning at 7:30 p.m. Friday, Sept. 20. Though she is best known as a founding member of the world’s most famous female trio — the incomparable Supremes, who recorded 12 number-one hits from 1964 to 1969 — the legendary singer’s career did not stop there, and she continues to perform with the same passion today. Calla Lily and Calla Lilette Garden Club members and guests attended the celebration of the North Carolina Federation of Garden Clubs 78th Annual Convention recently at the Sheraton Imperial Hotel and Convention Center in Durham. Louisburg College has announced four new appointments to the college’s Board of Trustees, who will serve for a term of four years. Hailing from Durham, John Allen is a business owner and general contractor who graduated from Louisburg College in 1985, and went on to attend UNC-Chapel Hill. 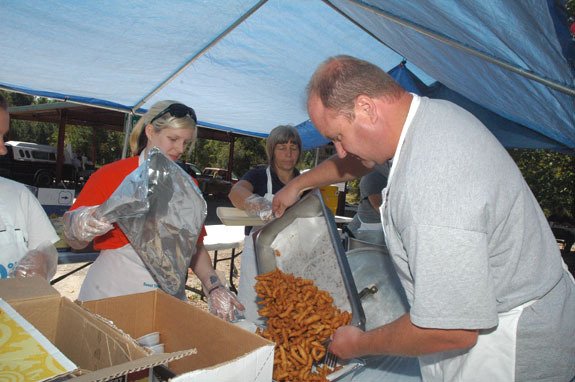 Cooperative Extension Director Charles Mitchell, right, provides some more hush puppies for plates sold at the Local Food Roast, a fundraiser for the United Way of Franklin County, last Friday. Mitchell was joined on the line by, from left to right, Melanie Thomas and Lynn May. Charges have been dismissed against both suspects arrested in a triple shooting. Deputies arrested Richard D. Williams and Noel A. Matthews a few days after investigators allege they shot three people following an Aug. 17 altercation at a house party on Bailey’s Creek Drive. Law enforcement had already agreed to dismiss charges against Williams after he said a victim provided unreliable information. Franklin County sheriff’s deputies are looking for suspects who shot into an occupied home. No injuries were reported. Louis Yarborough Jr. told authorities he and others were inside the home when he heard a car go down a path about 1 a.m. on Sept. 9. Johnyita Chavis, Calla Lilette Youth Garden Club 2012 Queen (right), prepares to crown Dominique Anderson, the 2013 Calla Lilette Youth Queen, during the North Carolina Federation of Garden Clubs 78th Annual Convention held Aug. 3 and 4 in Durham. 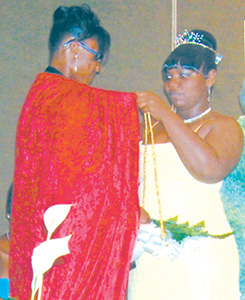 Youth were encouraged to share their talent, vision and potential during the ceremony. AND THEY ARE CHOCOLATE! 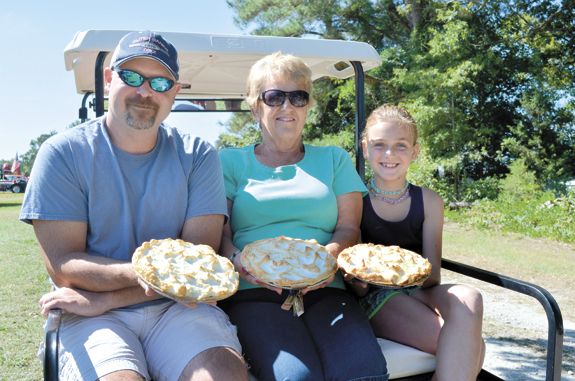 Sue Bell (center) has developed quite a reputation around Justice as the creator of delicious pies, especially chocolate pies. Here she shows off three of the 10 she prepared this year with a little help from son-in-law, Willy Hill, and granddaughter, McKenzie Hill, 9. GRITS ANYONE. 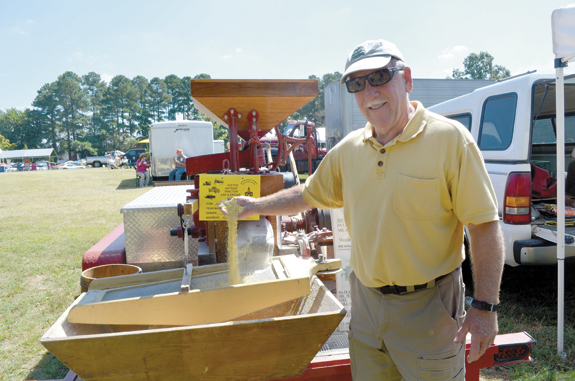 Ron West of Rocky Mount brought his grits-grinding rig to Justice and demonstrated how to make Carolinas Style Stone Ground Grits. IN DISGUISE! 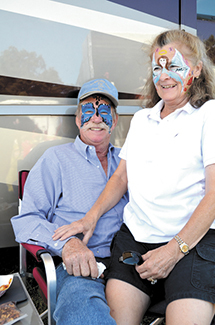 Master vehicle restorer Abe Kemp and his wife, Janie, (right) a collector of vintage toys, decided to shave a little fun with their friends Saturday at the tractor show by getting their faces painted. Janie’s design incorporated “I love you Angel” in tribute to their late daughter. Ten members of Franklin County Arts Council Photography Guild exhibited photographs at their first showing last weekend in Louisburg. The show, which was held in Buffalo Auction House on Nash Street, opened with a Meet and Greet party. Margaret Hilpert, chairperson of FCAC board of directors, summed the event up saying, “If you missed this treat, you really missed a fun evening. The ministerial ordination service for Rev. 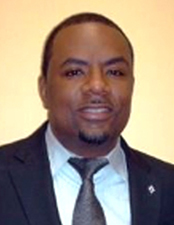 Derrick L. Gill was held Sept. 1 at Allen Chapel Missionary Baptist Church in Louisburg. The ordination message was by Dr. Charles Murrill, Sr., moderator of the Franklin County Missionary Baptist Association, and music was by the Allen Chapel Gospel Choir. Sheriff’s deputies are looking for a suspect who allegedly tried to run over a man with a car. Christopher Burnette reported the evening of Sept. 8 that a strange vehicle was parked in his driveway in the 3400 block of N.C. 561. When he went outside into the shadows, according to the report by Dep. G. Stanly, the vehicle — a white four-door car — began to accelerate and was heading toward him. FIRE IN THE HOLE. 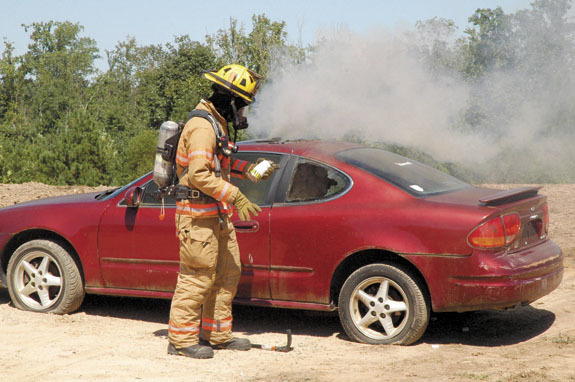 Youngsville firefighter Ben Davis prepares to throw a fire suppression device into a burning car. LOUISBURG — Local firefighters have already seen two demonstrations of field-applicable fire suppression devices. A third demonstration — on a house fire — could be enough to convince local firefighters to outfit their trucks with some of Avani Environmental’s Stat-X family of fire suppression devices. “We’re real interested to see how that turns out,” said Youngsville Fire Department Lt. Andy Dudash. 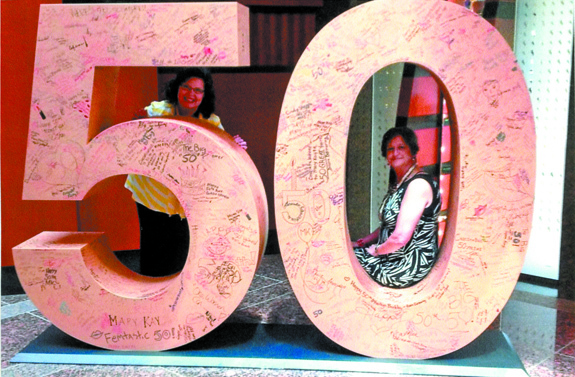 Swannie Harris and Lori Rogers of Louisburg joined nearly 50,000 Mary Kay Independent Beauty Consultants at the company’s annual Seminar held in Dallas, July 21-Aug. 7, at the Kay Bailey Hutchison Convention Center. Mary Kay Inc.’s annual seminar brings together independent beauty consultants from across the country and around the world to celebrate their business achievements, the company’s 50th anniversary and provide education, motivation and recognition.